According to TMZ, the singer is being investigated by police in LA after a woman accused him of abusive behaviour in a restaurant. Police have reportedly interviewed employees at the restaurant – but no charges have been brought yet. The website says Green has strongly denied the allegations, saying he had not even been to the restaurant in question in months and that "nothing ever happened there or anywhere else". Earlier this year it was reported that, in 2001, Green was for arrested for supposedly threatening his former wife and smashing the windows of their car. He subsequently spent two days in jail on disorderly conduct charges, and was placed on probation for a year. 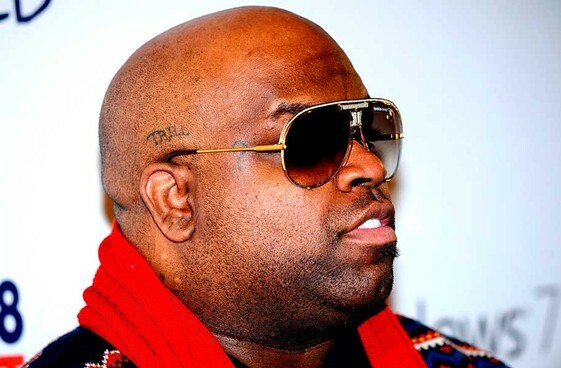 Though best known as a solo singer and frontman of Gnarls Barkley, in recent years Green has branched out into film and TV. He appears as a "coach" on the US version of The Voice and has a supporting role in Sparkle, a musical film that marks the last screen appearance of the late Whitney Houston. Earlier this year, it was reported that the singer was in the early stages of a project to executive produce and potentially star in a sitcom based around his own life. In July (2012), Green also joined the cast of Can A Song Save Your Life?, a new musical drama film starring Keira Knightley. He released his last album, 'The Lady Killer', in 2010.